New limitations on proxy marriage in Texas — a measure legislators passed last session to prevent benefits and insurance fraud — will also rule out tying the knot for people who are incarcerated. House Bill 869, which takes effect Sept. 1, will no longer allow those seeking proxy marriages — weddings where either the bride or groom or both are not physically present — to appoint another person to stand in during the ceremony, unless they are serving in the military and stationed outside of the country. (Click here to see a video about how the new law will affect prisoners who want to get married.) Because marriages cannot be conducted inside Texas prisons, inmates have relied on such stand-ins to get married while they are incarcerated. The 1987 U.S. Supreme Court decision Turner v. Safley preserves an inmate’s right to get married. But without changes to a Texas Department of Criminal Justice (TDCJ) policy that prohibits weddings from being conducted inside prison facilities, inmates will no longer be able to get hitched until they’re released. Jason Clark, a TDCJ spokesman, wrote in an email that the agency has no policy changes planned. The bill “will have no foreseeable [effect] on the agency or [its] policies,” he wrote. The bill is intended to crack down on cases where people have fraudulently sought marriage licenses by proxy without the other person's knowledge in order to receive insurance or other entitlement benefits. Scott Riling, chief of staff for the bill's author, state Rep. Trent Ashby, R-Lufkin, cited the case of a Houston County woman who re-married an incarcerated ex-husband by proxy without his knowledge to rake in insurance benefits after he died. The inmate's daughter discovered the re-marriage after her father's death and sued; the woman is now in prison for the fraud, a third-degree felony. The bill saw little opposition during the legislative process, Riling said. It also flew under the radar for a number of inmate advocacy groups. Most prison inmates, she said, might not find out about the changes until after the bill takes effect. “You don’t realize it can’t happen until you’re down the road… and then find out all of a sudden that you are no longer able to be married,” she said. Advocates for inmates say building relationships, such as marriages, can help people who are incarcerated improve their behavior and incentivize reintegration into society. Proxy marriage “gives an inmate something to take advantage of,” said former inmate and Texas Cure Executive Director Michael Jewell, who was married by proxy in 2005. Marriage “gives him an anchor out here in the free world." Jewell said while he was incarcerated, proxy marriages were “a fairly regular occurrence” — he estimated he witnessed at least half a dozen a year. 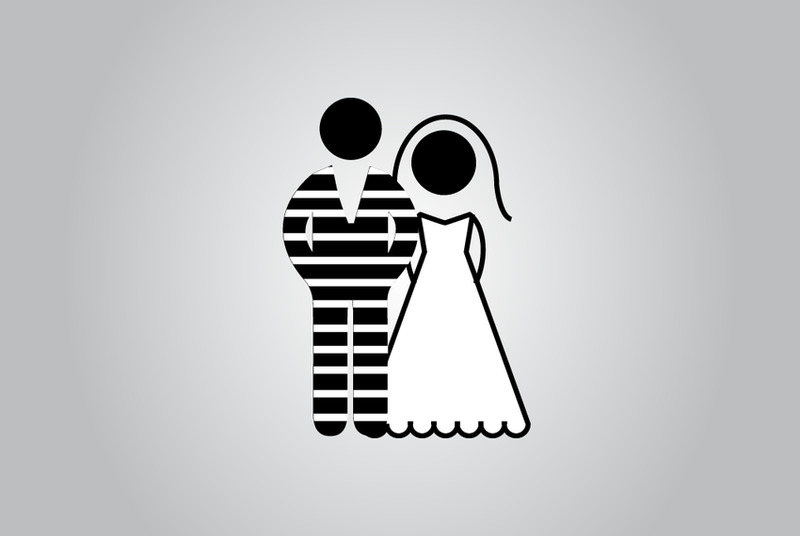 The TDCJ does not keep statistics on proxy marriages that occur while inmates are incarcerated. Ann Staggs coordinates proxy marriages hosted by The Prison Show, a longtime Houston radio program for inmates and their families. In the past sixteen years, Staggs has coordinated about 30 proxy marriages to and among inmates, starting with her own on the air in December 1997. Despite the challenges, Staggs said marriages by proxy, including her own, can be rewarding. “The men that have someone that they know is to be a permanent part of their life seem to do better in prison than the ones that don’t,” she said. This animation illustrates how to be married by proxy and how the changes proposed by House Bill 869 place restrictions on the process. Unless TDCJ changes its policies, inmates will no longer be able to get married under the new legislation.